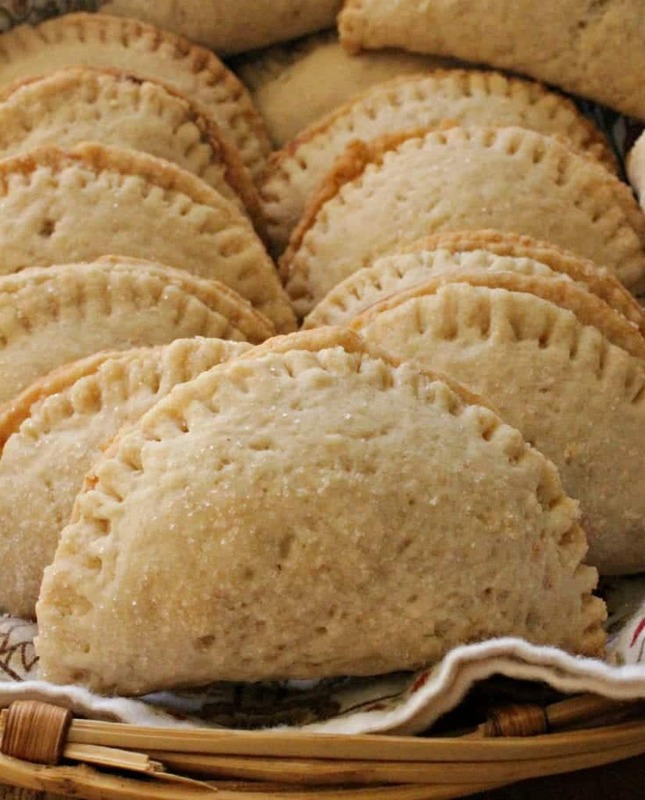 This recipe for Pineapple Empanadas, or Empanadas de Piña, is a keeper. 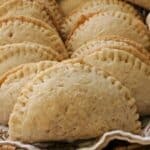 These yummy and vegan empanadas are sweet and slightly tart. They make a great dessert for everyone in the family. Do you know about my little brother yet? Well, he’s not so little. He’s 6’4”, smarter than the average bear, and a vegan. He is very busy right now getting his PhD in Computational Chemistry. He’s smart, remember? I decided to make him a vegan dessert. That’s why I made Pineapple Empanadas, or Empanadas de Piña. 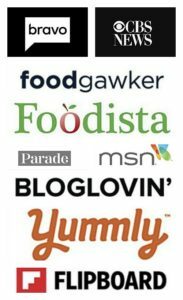 I contacted my fellow food blogger and friend Sonia from La Piña en la Cocina and discussed what I could make for my genius brother. She suggested I use her mom’s empanada dough recipe which does not use milk but a cinnamon tea base. It’s a tough dough to work with, she said, and many have had problems with it. My response: CHALLENGE ACCEPTED! This dough is not your average dough. It’s not your average John “DOUGH”, it’s “Juan” of a kind. (lol) Make the cinnamon anise “tea.” Once cooled, add it to your flour mixture. This isn’t the smooth Pillsbury refrigerated dough we all know and love. I adapted her mom’s recipe slightly to make it more user friendly. I suggest adding more tea water. Enough to get the dough going. Here is the original recipe. Here’s something else I recommend. Don’t roll out the entire dough like normal empanadas. 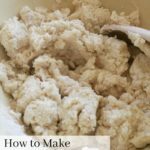 Kinda like flour tortillas or buñuelos, make individual dough balls and roll each out. If you have a tortilla press, this will go quickly. If you don’t, roll out the dough then cut out your circle. The beauty of this dough: There’s no dairy. No need to worry about keeping it cold or warming up the dough with your hands. Love that! For the filling… Since I was talking to Sonia, or as some people know her, “La Piña.” I decided to make my bro Pineapple Empanadas, or Empanadas de Piña. Chop the fresh pineapple, thicken up with cornstarch, and set aside to cool. Add a spoonful of your pineapple filling to the dough and fold. I’m not as fancy as La Piña when it comes to empanada edge. I use a fork because it’s forking easy. Ha! Combine the water, anise, and cinnamon stick in a small pot. Heat the shortening in a microwave-safe bowl just until it begins to melt. Cut the shortening into the flour with a pastry cutter or fork. Strain the anise/cinnamon from water. Start by mixing in 1/2 cup of warm “cinnamon tea” into the flour mixture. 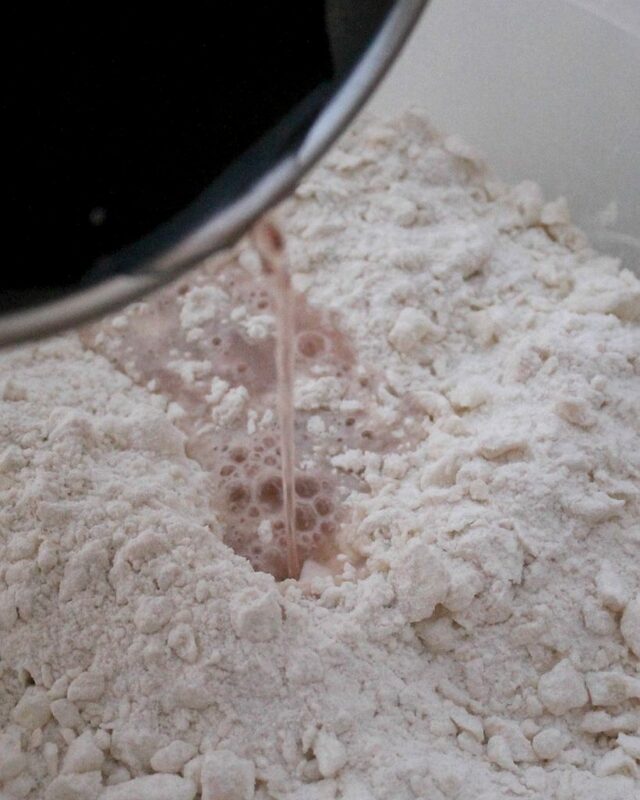 Mix until dough forms. It will look slightly lumpy (not smooth). Knead in a little more water and work the dough for 5-6 minutes. You will use about 1 cup of the warm liquid, or whatever is needed. Cover with a towel and let dough rest for 30 minutes. 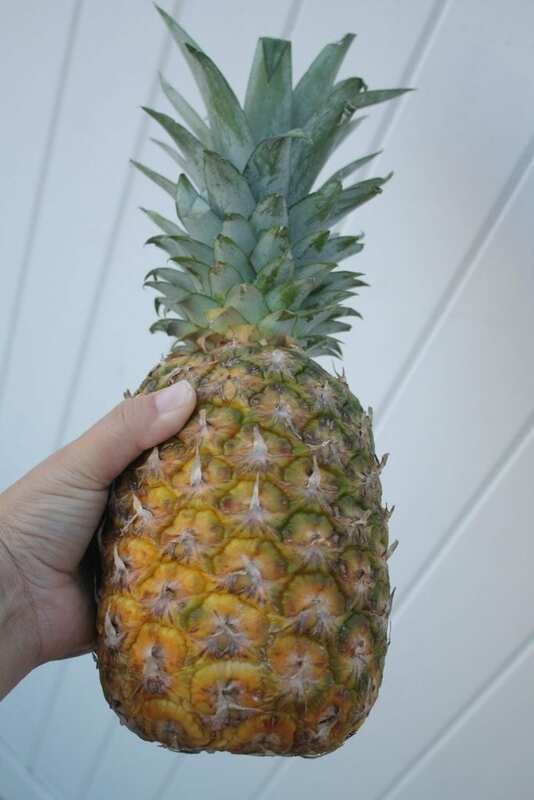 Cut up a fresh pineapple. 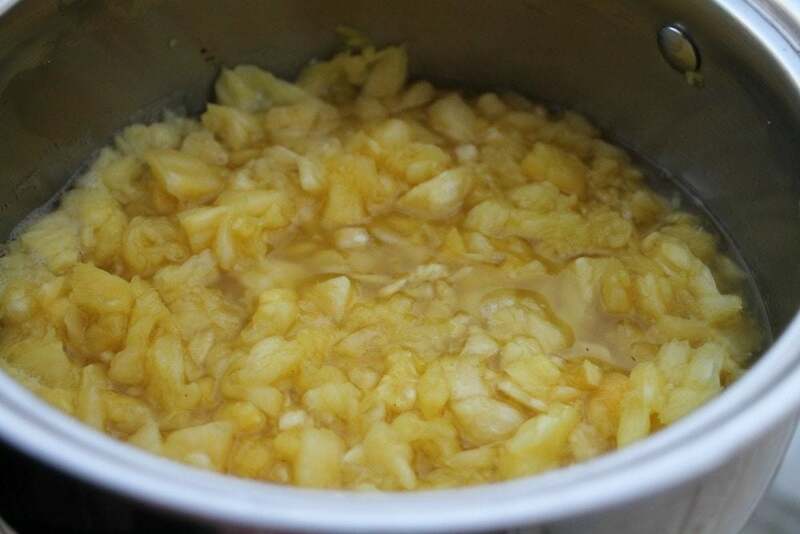 To a stock pot, add the pineapple, sugar, cinnamon, and vanilla. Reduce the heat and let cook for 15 minutes. 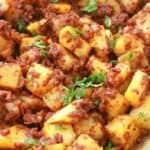 With a potato masher, break up the larger pieces of pineapple. In a small cup, stir together cornstarch and the cold water. Add the cornstarch mixture to the pineapple. Cook until the pineapple filling starts to thicken. 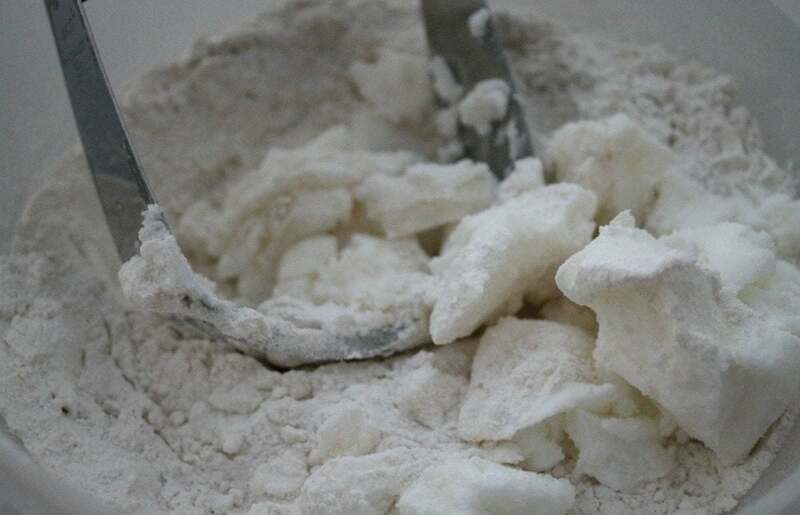 Dust your working surface with flour. 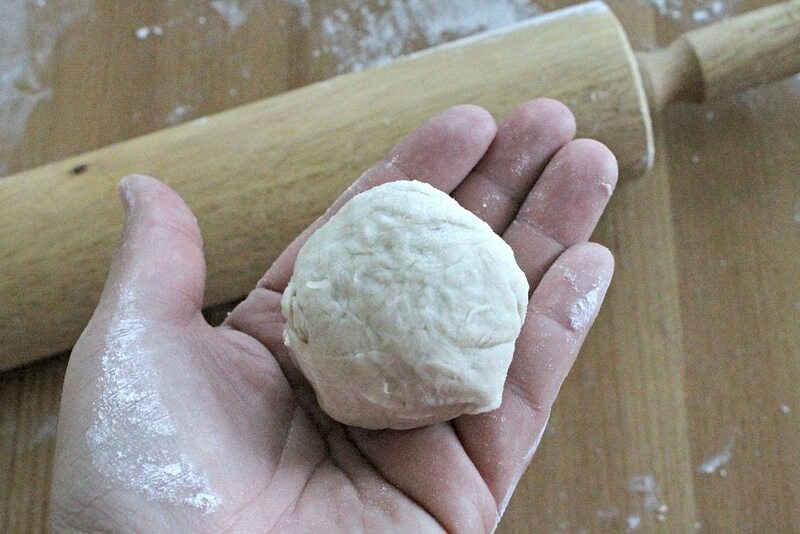 Make 24-28 small dough balls the size of a large golf ball. 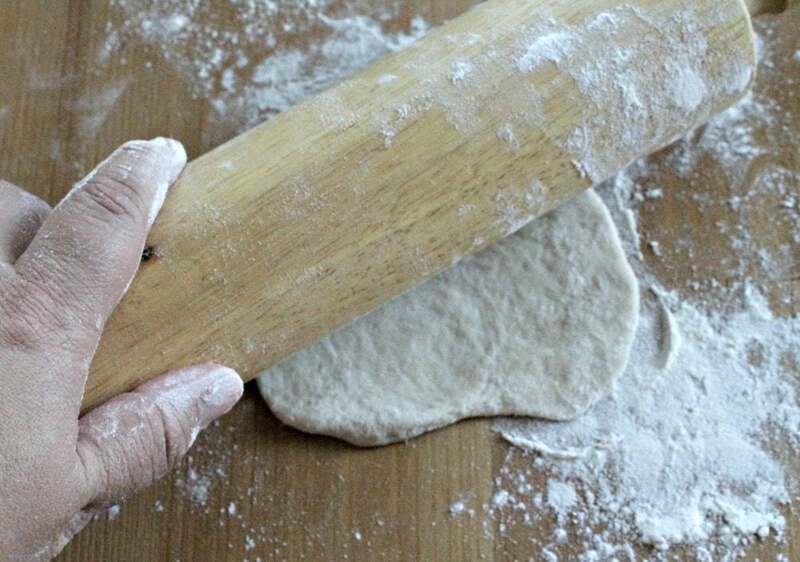 With a rolling pin, roll each dough out to 2 - inch circles. Add a 1 - 1½ tablespoons of filling to the center of each circle. 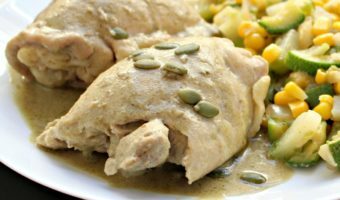 Fold over the dough and using a fork or fingers, press edges together to seal. 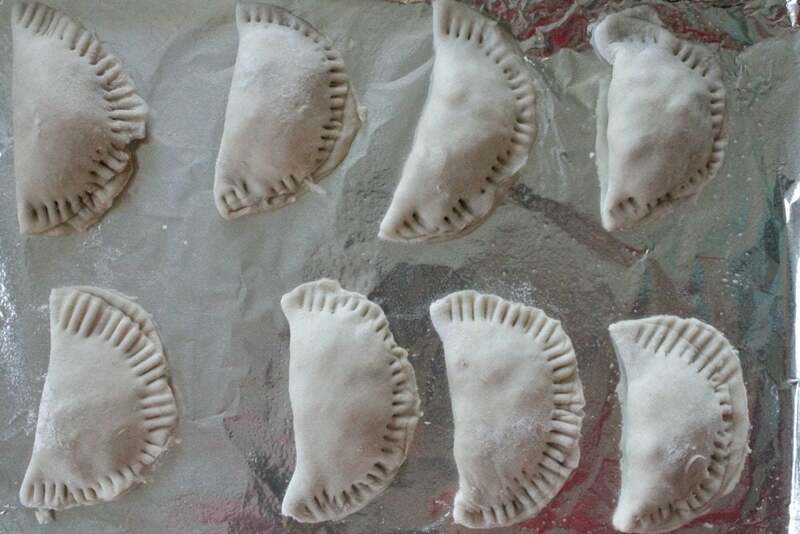 Transfer empanadas to a lined baking sheet. In a small bowl, mix ground cinnamon + ½ cup sugar. Brush water over the top of each empanada. Sprinkle the cinnamon-sugar mixture on top of the empanadas. While the empanadas are still warm, add more of the cinnamon-sugar mixture. 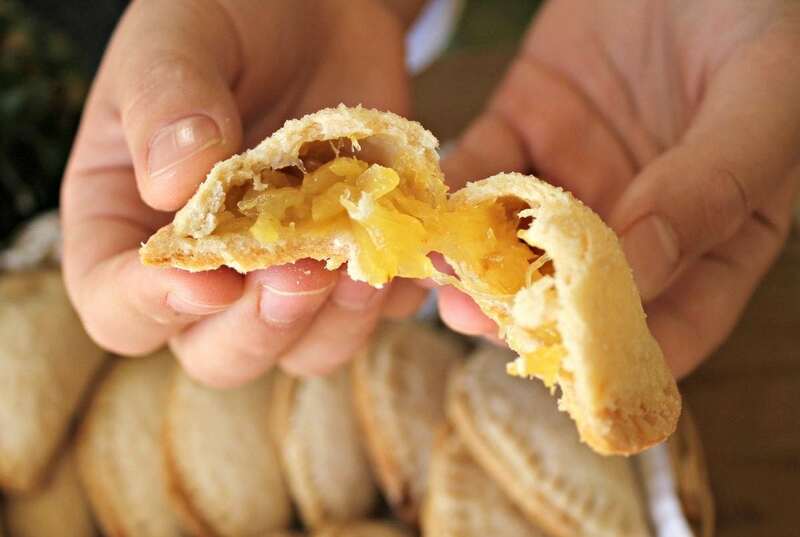 How would you eat Pineapple Empanadas, or Empanadas de Piña? Breakfast or Dessert? With all that flavor (especially added to the dough) these sound incredible! Thanks. These Empanadas de Piña, or Pineapple Empanadas, were so good. 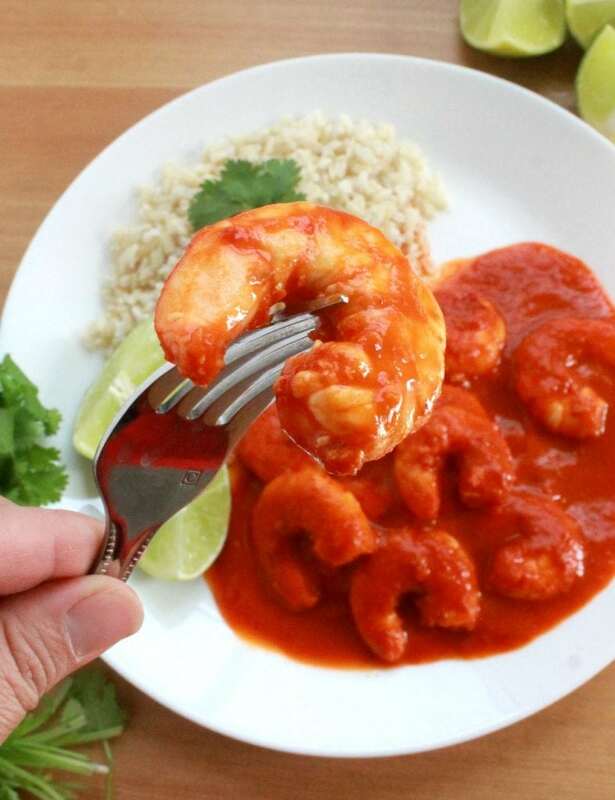 And yes, that extra flavor goes a long way! 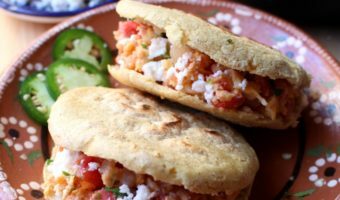 I love empanadas and these pineapple ones sound super tasty! Thank you for the step-by-step tips on how to make them too! That is so sweet of you to make vegan empanadas for your brother!! I love the pineapple in these! 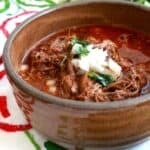 That spiced John ‘Dough’ sounds so good! Your brother is lucky to have you to make him such great treats.